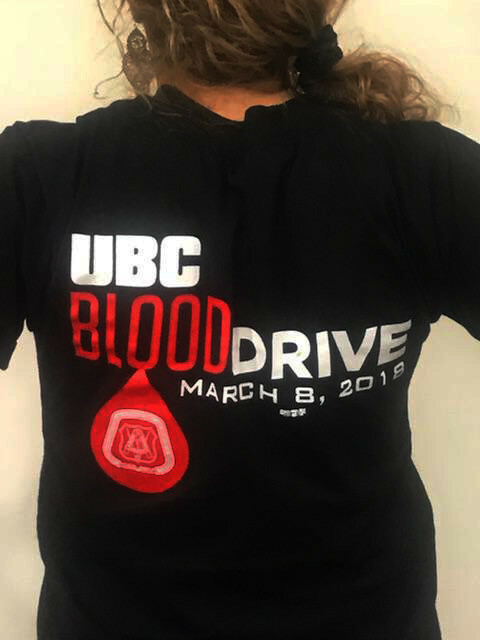 The United Brotherhood of Carpenters and Joiners of America (UBC), representing over 500,000 members, partnered with the American Red Cross to host a blood drive event at the International Training Center (ITC) in Las Vegas, Nev. on March 8th. As the Brotherhood continues to remember 1 October in Las Vegas, the UBC wanted to continue to be supportive of emergency services. The American Red Cross plays a critical role in our nation’s health care system and helps people in times of emergency and disasters. It is the largest single supplier of blood and blood products in the United States. ITC staff, UBC members, and program participants at the ITC during the event shared their support by donating what they could. 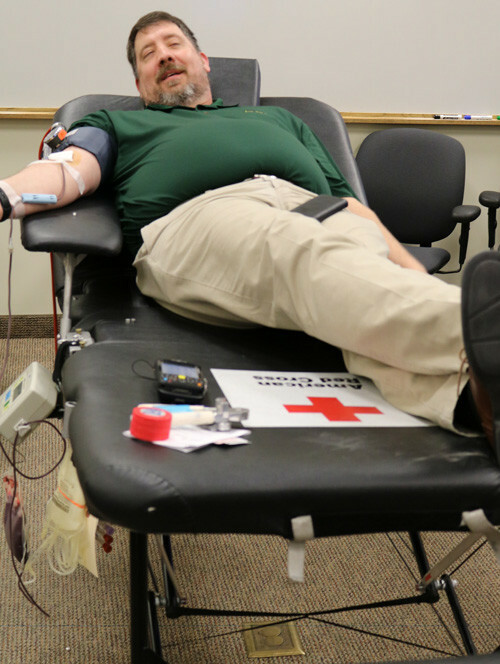 Over sixty donors showed up for the blood drive; including four “Power Red” donors. Power Red is similar to a whole blood donation, except a special machine is used to allow you to safely donate two units of red blood cells during one donation while returning your plasma and platelets to you. Blood drives help support the community and help save lives. Hosting a blood drive with the American Red Cross is a partnership where everyone wins; in fact, you could help save more than one life with just one donation. For more information, visit: https://www.redcrossblood.org/hp/aem.